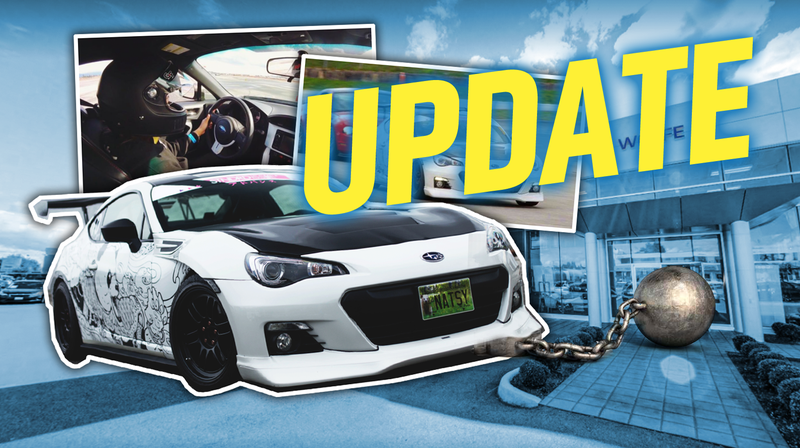 You may remember last week’s saga about a woman named Natalie, her BRZ, and the Vancouver-area dealership that briefly held her car for ransom because they found Facebook photos of her car at a track. I’m happy to report that things seem to be working out, but less happy to report that dealership employees have been receiving threats. For the full story, I suggest you read, well, the full story. Essentially, the dealer’s service department failed to fix a problem with the car, which they blamed on Natalie taking the car to the track, which they only discovered after creeping on Natalie’s Facebook photos to prove the car was there. Upon inspection by Natalie, there was no evidence of track-related damage as the dealership claimed. They initially did not honor her warranty and yet still did the work, demanding $1,200 to get her car back for work she never okay’d. Eventually, the car was returned, and the warranty paid it, but the problem wasn’t fixed, and she was told her warranty would be void. After Natalie posted about her issue on Reddit and then later when our article came out, Natalie’s predicament got a lot of attention, leading to both resolution of her issues, and an excuse for a number of unhinged people to take things too far. Quick update. Had a sit down meeting with Marc and Mike from Wolfe Subaru and they have been nothing short of impressive. Really trying to mend the situation and helping me out. So far they have promised a master tech to work on my car next week, and compensated me for the 2 months lost car payments. Also they will keep me informed and in touch with their marketing team, as well as the issues at Wolfe Subaru on Boundary. Okay, so that’s good, and it looks like Wolfe Subaru is making things right, and appears to genuinely want to repair damage and improve their relationship with the Subaru enthusiast community. We wish them luck. But what’s happened with this single incident and the aftermath that’s followed has been not only an eye opener but disappointing to say the least. It’s reached such a fever on line my company is taking a severe beating reputation wise. While it may be fair for people to weigh in, what’s not fair are the personal attacks on my staff and tonight on me personally. I put my staff out there as I do very visible enabling customers to reach out to us and to see what we are up to. When we hire people we tell them expect to give back, expect to volunteer for charity, all of which is clearly outlined on our social media for all to see. I guess where I am going with this is, the slander has reached an almost epidemic level. To the point whereby I and my staff are being personally threatened over Natalie’s experiences. I am worried this will escalate. So, look, mission accomplished; the dealership realized the error of their ways, and is taking steps to make things right. Time to back off. And while I’m sure our readers wouldn’t stoop to such miserable lows, it’s worth remembering that there’s never any reason to threaten any employees personally, no matter how mad we may be. What are we, savages? Of course not. Wow, now they’re talking sponsorship? That’s a pretty dramatic reversal. Well, good—it’s great to see so much effort taken to make things right.